Stereophonics make their entrance tonight in true rock and roll style. From behind a great sheet depicting the artwork for latest album Keep The Village Alive, the giant silhouette of drummer Jamie Morrison appears, sticks raised in anticipation before kicking off with the simple but undeniably recognisable beat to I Wanna Get Lost With You. It’s the perfect welcome and really sets the tone for the night, the sharp drums, the punchy guitars and of course the the incredible set of pipes wielded with perfection by frontman Kelly Jones. 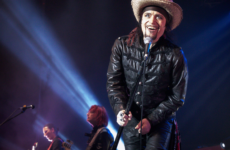 There’s not a note he doesn’t hit tonight, whether he’s belting out the rockers or getting all heartfelt on the slower numbers, every single song is performed with the sort of quality that comes from 18 or so years of practice on the road. And this goes for the whole band too, it’s not just Kelly, everybody on that stage plays a part in making these songs sound as good as they do. The icing on the proverbial cake though is the visuals. Each song played tonight has its own light show which quite often includes tailored videos projected from the various sized screens that adorn the back of the stage. It looks amazing and really adds the perfect finishing touch to the way these Brit-rock classics are delivered to the adoring sold out crowd. There’s even a trio of violin playing ladies to ensure every song is represented as true to the recorded version as possible. Kelly Jones has grown in to the ultimate rock star, busting out all the right roves from the front of the stage and the platforms set up at each corner (much to the delight of the fans who are almost close enough to touch). He may not say much, but rather than come across as arrogant, it’s more of an endearing, thoughtful silence. When he does speak, it’s honest and humble, and occasionally delivering that famous Welsh wit and humour. 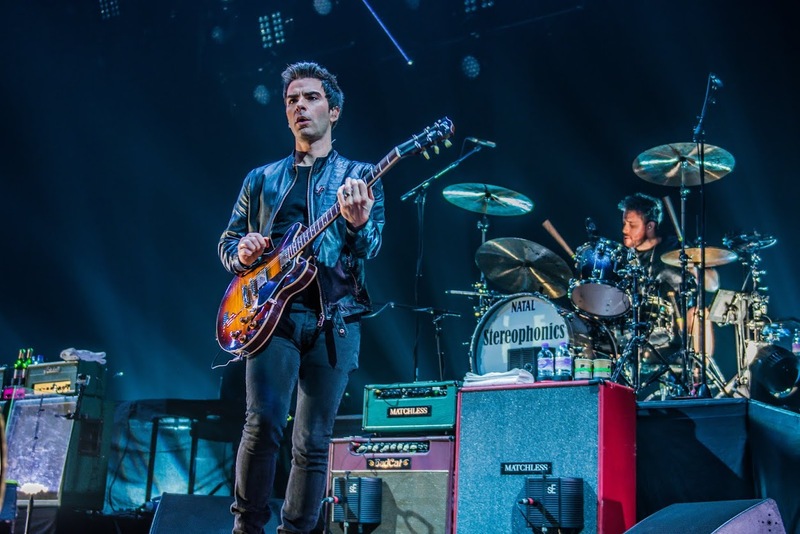 When Stereophonics are rocking out, they rock HARD! The perfect example being the phenomenal finish to Mr And Mrs Smith, powered hugely by the thundering drums that seem to last forever, yet not long enough. It’s loud and it’s awesome! Of course, this is a band that’s probably better known for their more chilled out songs, and there’s plenty of the timeless classics played here tonight. Mr. Writer, Maybe Tomorrow, Handbags And Gladrags and Have A Nice Day all receive the most rapturous of responses. 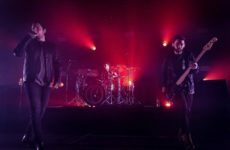 Being some of the most important songs in their arsenal, it’s great to see these weren’t left off the set list! And while the crowd are fanatical in their shows of appreciation, during the songs there doesn’t seem to be much life. This may be down to the nature of the music, with a huge part of the band’s sound leaning toward more indie stylings. There’s head nodding, but during the louder material in particular it would have been nice to see some bouncing at least! But hey, maybe they’re all just in awe of what they’re seeing here…it’s not often that a band this huge and influential come through our seaside town. It’s great to see the camaraderie between band members is still very much alive. Most notably when things are stripped down, the drums are reduced to a simple snare and the band huddle together at center stage for a more intimate run through of a handful of songs. It’s a touching moment and great to see the smiles shared between them as they play. When eventually the band leave the stage and the lights go down, the crowd really come through. Feet begin to stomp, the whistles and yells for more begin to spread. Every person in this rather large room set off a storm of support…and although I’m sure the encore was planned all along (as they always are these days), it’s still an epic moment when the band return to send us off in style. Most importantly, it’s the absolutely massive sounding Dakota that they finish with tonight. Every available light and laser is aimed towards the screaming crowd as the unmistakable intro is delivered with the studio perfection that has been constant throughout the evening. Balloons are released, streamers are launched across the ceiling…this is the ultimate blow out! Absolutely insane!! Then as the dust settles and the ringing in the ears of the front row begins to disperse, the mighty Stereophonics make their exit. They performed as gods here tonight, but leave in the most human way possible. With the room lit up again, they set down their instruments, they pick up their jackets, and they wave goodbye. No dramatic fade to dark, just boys in a band rocking the world of each and every fan here, before heading to the bus to do it all over again somewhere else. Here’s to hoping they return, and here’s to timeless British rock music!